2019 Carbondale Wild West Rodeo dates -- Every Thursday June 6th thru August 22nd. Including THE 4TH OF JULY -- INDEPENDENCE DAY. WE ARE STILL WORKING ON 2019 DATES FOR SPECIAL EVENTS. If you have any suggestions for special acts we are always looking for ideas. 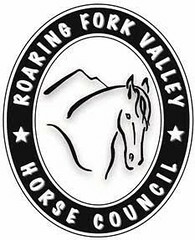 Carbondale Wild West Rodeo Association reserves the right to make changes to events schedule, rules and payout/added money as deemed necessary. You will be sure to see Rodeo Clowns, Grand Entry presentations and lots of good old fashioned grit and gumption as young and old bring their best to CWWR performances. Contestants will be vying for an All Around Saddle Award to be awarded to the contestant with the most money earned in 2 events. Ranch Bronc Riding continues to be one of our most popular events so we will continue it every other week and for the FINALS with a buckle! Hide Race another of the favorites alternates with Ranch Broncs and is a buckle series as well. .
July 4th -- Our Independence Day, 4th of July Celebration. You will see a lot of flag waving, pride for our country and patriotic decorations. If you get there early you might even get one of the many hand held flags to wave that we give away. Alpine Animal Hospital “Time to Ride” There will be horseback rides for kids in a special pen, lessons on horse care, and the opportunity for questions and answers. Be sure and visit them and tell them how much you enjoy Time to Ride. If it proves popular they may offer more dates. Joe Carr, funny man/rodeo clown will return.Young and old will be sure to enjoy Joe's rodeo antics and will gasp and cheer as bulls ram the barrel he takes shelter in during the bull riding. Joe has been entertaining rodeo fans in the west for fifteen plus years. Come on out July 18, 2019 for a Special Celebration!! R & A Enterprises is our returning Tough Enough to Wear Pink Sponsor. They have been sponsoring our TETWP rodeo for a few years now and invite everyone to come out and honor those who have fought the tough fight against breast cancer. We honor all who have fought valiantly this difficult battle, knowing that some continue the fight, some have overcome and some have succumbed. We hope that research can increase the numbers that beat breast cancer all all cancers. A portion of the proceeds goes each year to help fight the fight. Do you know a family member or close friend whose life was impacted by breast cancer? Chances are you do. You too can join the western community in its efforts to raise funds for the fight against cancer! The Calaway Young Cancer Center at Valley View Hospital will receive a portion of the rodeo proceeds. Seeking additional sponsors for TETWP! Call CWWRA, President Mike Kennedy at 970-379-3907 for more information. Join us for a special celebration of cancer survivors at our rodeo on Thursday July 18th at 7:30pm. It's the western community's way toward the cure. Come join us in remembering those we have lost to cancer and showing your support of those fighting the fight. Since 1988, John Payne, The One Arm Bandit has thrilled rodeo fans around the world. He rides a variety of good horses and mules in his full throttle exhibition of genuine cowboy skills with longhorn steers, buffalo and wild horses. Moving all these animals around an arena the show reaches its grand finale with all atop a custom stock trailer reflecting the excitement and true spirit of the west! John plans on bringing three mustangs and a Zebra stallion to the CWWR this season. John has received the Professional Rodeo Cowboy Association Entertainer of the Year 12 Times. No matter if you want to celebrate the heritage of the Paniolo, remember your last visit or just wear a loud shirt, the Carbondale Rodeo’s annual Hawaiian night, August 10th is sure to be a colorful night. Want to see cowboys in grass skirts? This is the night. See who wins the All Around Saddle and the event buckles. It is always a heated competition to the end. The cowgirls and cowboys BRING their all to have the bragging rights and the buckle too!